What Is a Duct Line? Ductwork design plays a key role in the ability of your heating and cooling system to evenly distribute air and maintain a consistent temperature throughout your home. 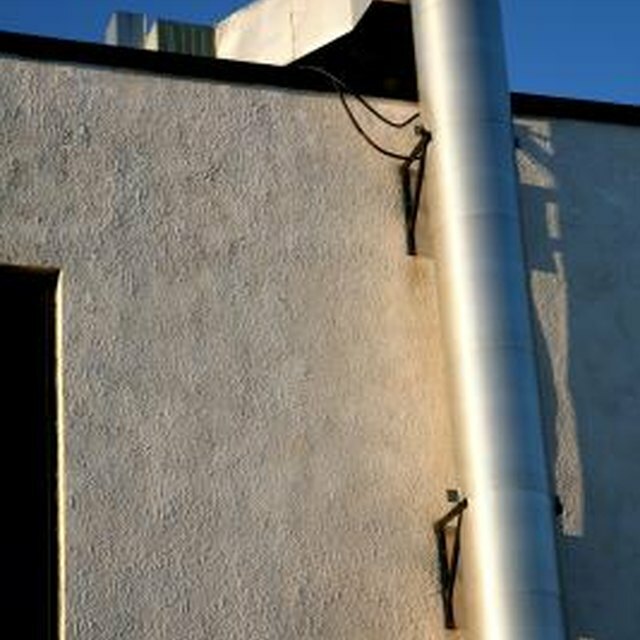 Ducts that are poorly designed, improperly installed or inadequately sealed can affect temperature, humidity, indoor air quality and even be responsible for losing as much as 20 percent of the air you pay to condition.The goal of ductwork design should be to distribute air efficiently with minimal air loss or temperature fluctuations between the air handler and registers or returns. Proper circulation depends on proper ductwork design. The most common residential duct configurations are the "trunk and branch" and "radial" systems. This is because they are versatile and easy to install within conditioned areas of the home. With the trunk and branch, a large trunk duct is attached to the air handler with several smaller branches of duct-work connecting to the various rooms of the home. With the radial design, much like the arms of a starfish, duct-work reaches out from the air handler directly to the rooms of your home. This configuration is most effective in single story homes with a centrally located air handler. Additional configuration options include the "spider" and "perimeter loop" systems. The spider configuration is named for its appearance and is similar to the trunk and branch system in that large supply trunks are used to connect remote mixing boxes to a smaller supply system of duct-work. The perimeter loop configuration involves a multiple feeder ducts and a larger duct that runs around the perimeter of the home. Neither of these systems is particularly easy to install in conditioned areas of the home. Proper circulation involves a constant flow of new air into your rooms and old air out. Return systems deliver this old air back to the heating and cooling system where it is again filtered and conditioned. This can be done using a central return grille or a multiple-room return system. With a central return system, return grilles are located in central locations, such as one on each floor of the home. In order to maintain proper circulation when doors are closed, doors may be undercut and short jumper ducts may be installed between rooms. With a multiple-room return system, each room has its own designated air return ensuring maximum circulation throughout the home even when doors are closed. Common materials used in duct-work construction include sheet metal, rigid fiberglass duct boar and flexible nonmetallic duct. Which type is used is dependent on what the job requires in terms of performance, versatility and price. The most common material is sheet metal, which can be used in most situations and offers maximum air flow. Proper sealing is important, because of the various potential points of leakage. By contrast, fiberglass duct board is sealed and insulated during construction and flexible nonmetallic duct contains blanket insulation beneath its flexible vapor-barrier jacket. To maximize system efficiency, your air handler and duct-work should be installed in conditioned areas of the home. This allows any conditioned air that may escape your system to remain within your household. It may also allow you to use a smaller system to heat and cool your home, reduce the amount of duct-work and insulation required and reduce your energy costs. Patrick James began freelance writing in 2011, specializing in music, television, film, humor, home-and-garden, pets and pop-culture topics. He is a graduate of Radford University, with a B.S. in psychology and minors in sociology and English. Does a Return on a Furnace & Central Air Make the House Cooler? Does It Hurt to Close Some Duct Vents on an Air Conditioner?